The current Japanese emperor will abdicate and his first son will ascend the throne as new emperor. Ending and new start with gratitude, we’ll be selling a lucky bag. These are popular products in our shop, we’ll be selling in set with special price. May 12,2019, special day for our beloved mother. A gift of love will surely make her happy. 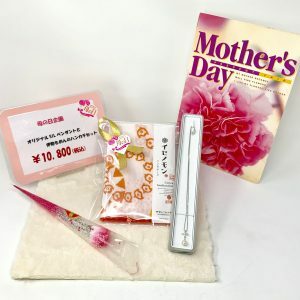 Limited gift set especially for this mother’s day event. 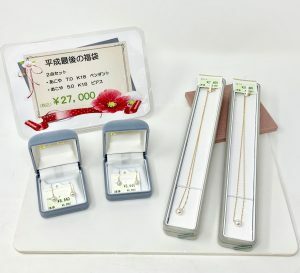 Now buy original design pendant and receive Ise cotton handkerchiefs for free.